With some help from Thorsten Hohmann and BD's instructional staff, planning the perfect pattern will be a little easier. Think about it: Every time you crack open a rack - whether it be 8-ball or 9-ball, straight pool or 10-ball - there are approximately a hundred bazillion possible layouts. You could play pool for decades and never see two tables that are exactly the same. But before you get a migraine contemplating the possibilities, we've got you covered. 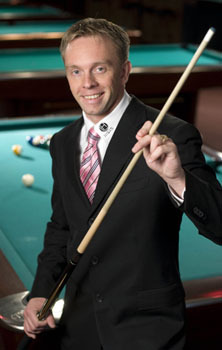 For our instructional special on pattern play, we've enlisted the help of Thorsten Hohmann, one of the most versatile and accomplished players in the game today. He's collected a pair of world titles (9-ball in 2003 and straight pool in 2006), while also cashing in to the tune of $350,000 in 8-ball (at the '06 IPT North American Open). We've also got plenty of pointers from our unrivaled stable of coaches, including Larry Schwartz on 8-ball and George Fels on 14.1.